Published by: Henry Colt and Co. I have heard so much about this series and a lot of people considered it their favorite, so I decided to read the first book and see if it was as good as everyone said it was. I’m glad to say I wasn’t disappointed. The first thing I noticed when I started reading this book was the writing style. It was really fluid, in no time I was half way through the book without realising I had read that much and how much time had passed. The writing really kept me captivated, but the pace also had a lot to do with that. Even if the plot for the first half of the book was more focused on world building and character development, I never felt bored and I never felt like the pace was off. On the other hand, the second part was a lot more action packed and the writing and pace really worked for that as well. In regards to the characters, there were some really interesting characters, especially, the Darkling, who is very intriguing and mystyrious, and I didn’t know what to believe about him for most of the book. I also found Genya fascinating and I really want to see her again in the next book and see how she’s dealing with things. Nonetheless, I though the main character, Alina, was alright, but I really didn’t find anything that set her apart from other main characters in YA fantasy books. Also, I didn’t like Alina’s best friend for the first half of the book, and even later on, I didn’t feel like his character was fully fleshed out. The world building and magic system were fascinating. It was set in a world resembeling or inspired by Russia and rusian culture, which was quite different from other things I have read in the YA fantasy genre. In regards to the magic system, the color division, the color representation of the type of magic, and the powers itself that they had, were unique and interesting. I would definitely recommend this book to anyone who likes YA fantasy books with intriguing villains, great writing and a world and magic system that makes you want to read without stopping. 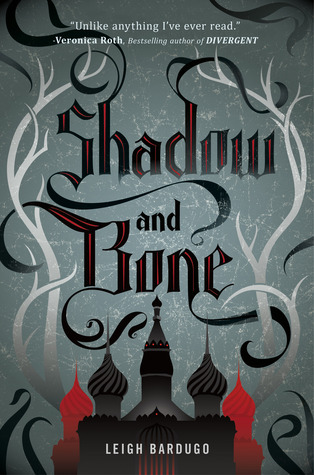 I've read and loved the Grisha series but for me Shadow & Bone will always be the best. I'm so glad you loved this book and I hope you continue loving the series! I really liked this book as well! I still haven't read book 2 but I really ought to before I start forgetting bits and pieces of S&B. Bardugo is a really good writer, totally second you on her writing! It didn't take me all that long to finish this either.